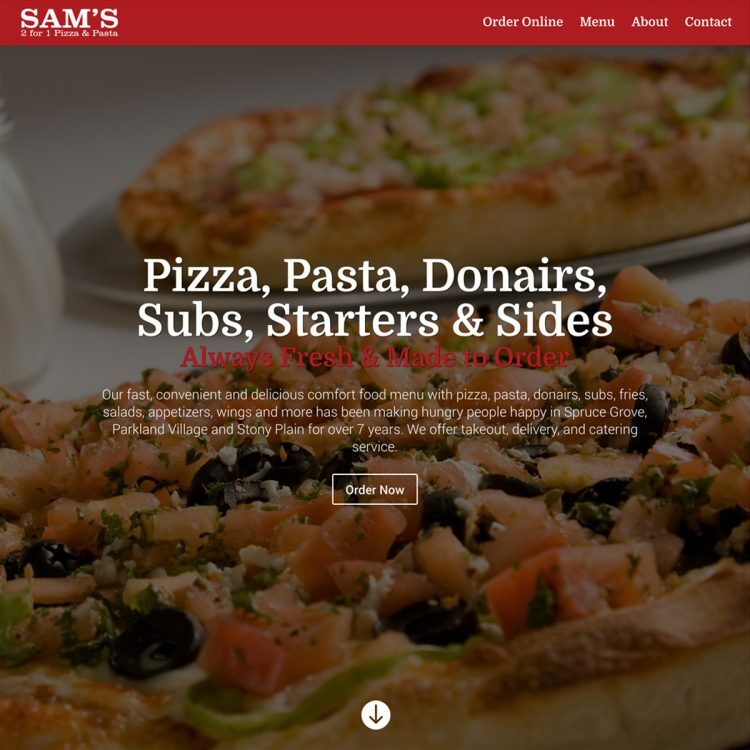 Sam’s 2 for 1 Pizza & Pasta is independently owned and operated out of Spruce Grove. Their fast, convenient and delicious comfort food menu with pizza, pasta, donairs, subs, fries, salads, appetizers, wings and more has been making hungry people happy in Spruce Grove, Parkland Village and Stony Plain for over 7 years. They offer takeout, delivery, and catering service. After working together since the restaurant opened in 2012, owner Sam approached me about an upgrade and renovation to make his website mobile-friendly and provide his customers with the option of ordering online directly from the restaurant website. I used Divi by Elegant Themes to speed development time for my budget-conscious client, and implemented the GloriaFood online ordering system for his website, including setting up a LAN thermal printer. Over the years I have assisted Sam with many of his marketing and communications needs, including promotional & print design, graphics and images for the web, and helping with his social media presence and digital marketing properties.